From blends to a single grain to a single malt, our Bombay Canadian evening had a rather civilized progression ending on this new single malt from Central City Brewing. The whisky’s name is a combination of Gary Lohin, Brewmaster and Stuart McKinnon, Head Distiller. Started as a brewpub in Surrey, British Columbia, Central City Brewing then grew to build a full fledged craft brewery and distillery – continuing to make beer, adding cigar, gins, rum and now whisky. For most this was the favourite of our Canadian quartet – the banana cake quality was simply lip smacking! It also paired rather well with the cigars of choice for the evening too. The brewing talent of Gary Lohin of Central City Brewing Co. and the distilling artistry of Stuart McKinnon culminate in this smooth craft whisky. Bourbon barrel ageing gives complexity to this malt that is layered with hints of cherry, vanilla, and wood smoke on a medium weight/creamy palate, finishing with gentle spice. While still only available through your provincial LCBO, this new single malt from BC is a bit harder to track down and may require going to a “specialty” store, finding the folks with the key to the locked cabinet. However the price remains most reasonable – currently C$60.40. This 1st edition was released in July 2017. 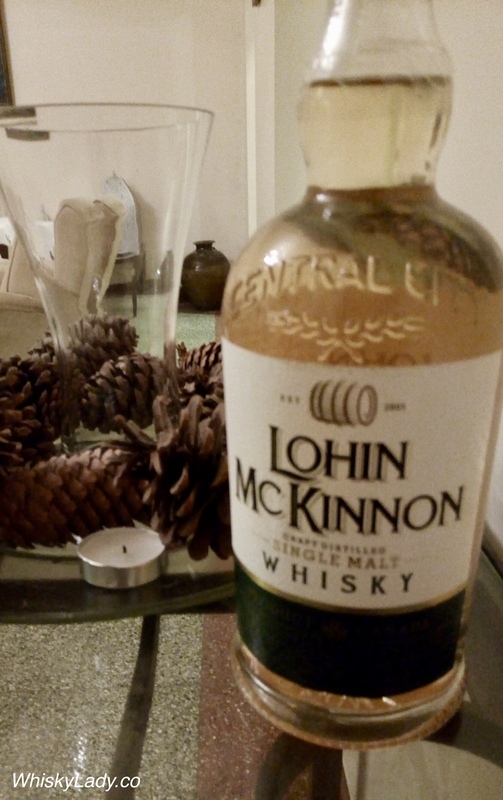 This entry was posted in Beyond Scotland, Canada and tagged BC Whisky, Central City Brewing, Lohin McKinnon by Carissa Hickling. Bookmark the permalink.